With the Lakers a little less than a month away before training camp, they still plan on filling out their roster. The Lakers will “probably” sign one to three more players next month’s training camp that begins on Sept. 29th in Hawaii, according to a league source familiar with the situation. The Lakers have had “ongoing discussions” about signing Euroleague guard Marcelo Huertas. The 32-year-old Brazilian national team player has played for FC Barcelona in Spain for the past four years. He averaged 7.4 points and 4.4 assists last season. That would complement a competitive Lakers backcourt that currently includes Kobe Bryant, D’Angelo Russell, Jordan Clarkson and Lou Williams. But the Lakers have not yet signed Huertas to a deal. 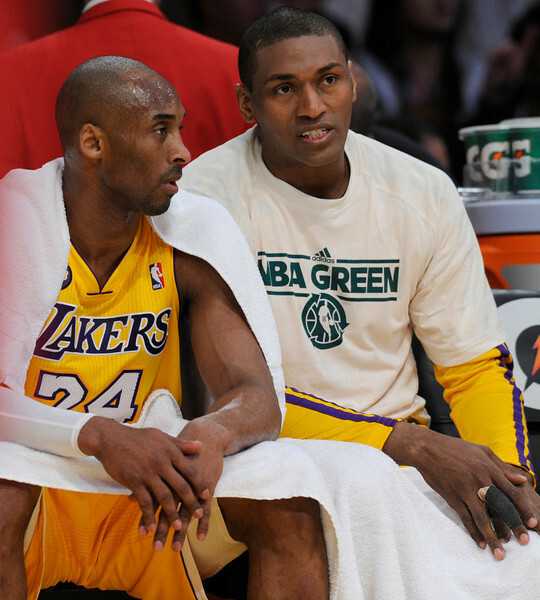 The Lakers have also had discussions about signing Metta World Peace, who played for the Lakers from 2009 to 2013 and played a large part in their 2010 NBA title run against the Boston Celtics. World Peace, formerly known as Ron Artest, has played overseas in China and Italy since the New York Knicks waived him in 2014. But he has worked out regularly at the Lakers’ practice facility and in pickup games at the Drew League in Watts. The Lakers currently have 16 players under contract, including non-guaranteed deals for Tarik Black and Jabari Brown. The Lakers are over the NBA’s 15-man roster limit, but they can field as many as 20 players during training camp. The detente started when Shaquille O’Neal introduced his long-time adversary with words of affection. The detente ended when O’Neal said goodbye to Bryant with a message that equally waxed nostalgia, gratitude and remorse amid three NBA championship runs, endless bickering and a messy divorce. 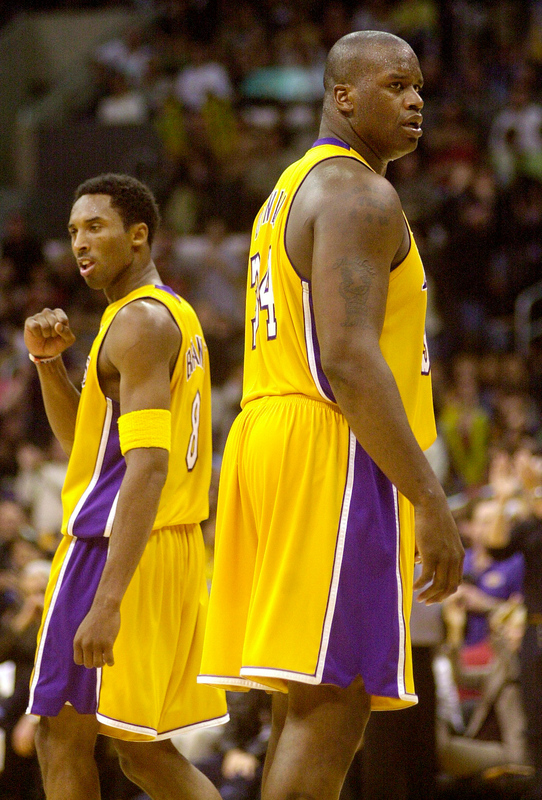 It also appears that Bryant and O’Neal are still one of the most talked about duos in Lakers history. Bryant and O’Neal have not played together since the Lakers traded O’Neal in 2004 after the team’s NBA Finals loss to Detroit. Yet, plenty of intrigue remains surrounding O’Neal’s relationship with Bryant. So much that the two appeared on “The Big Podcast with Shaq” for an episode released on Monday. For nearly 30 minutes, both O’Neal and Bryant spoke with equal candor about their respect for their game and the never-ending personality tensions. The Lakes’ Development League affiliate, the D-Fenders, have finalized Casey Owens’ coaching staff. His assistant coaches will include Paul Woolpert, Brian Walsh, Jermaine Byrd and Will Scott, all of whom have extensive experience in different capacities. The Lakers officially signed undrafted Florida guard Michael Frazier on Tuesday. The team described the contract in a release as a multi-year deal, but a league source familiar with the terms said Frazier will have a two-year deal worth $1.4 million. Frazier is not assured a spot on the Lakers’ training camp roster, and only $50,000 of his rookie salary worth $525,000 is guaranteed. Frazier is slated to make $875,000 in the 2016-17 season, though that is not guaranteed. Frazier made 43 percent of his 3-pointers during three seasons at Florida before playing for the Golden State Warriors’ summer league team. The Lakers currently have 16 players under contract, including non-guaranteed deals for Tarik Black and Jabari Brown. The Lakers are over the NBA’s 15-man roster limit, but they can field as many as 20 players during training camp. If Frazier does not make the Lakers’ roster, he could play for the team’s Development League affiliate, the D-Fenders. The Lakers have considered bringing back a player that helped deliver them their last NBA championship. Metta World Peace and the Lakers have had a “couple conversations” about the former Ron Artest returning to the team, according to a league source familiar with the situation. The source added that both sides have not reached any agreement regarding a deal with the 35-year-old World Peace and that nothing is imminent. World Peace has trained extensively this offseason at the Lakers’ practice facility as well as in pickup games at the Drew League. During his visits with the Lakers’ facility, World Peace has worked out extensively with 2014 first-round pick Julius Randle. The Lakers waived World Peace using the amnesty provision in the 2013 offseason. After the New York Knicks bought out his contract during the 2013-14 season, World Peace has since played professionally in China and Italy. But World Peace’s potential return to the Lakers could fill a few areas of need. The Lakers are thin at the small forward position. World Peace’s presence would bolster a defensive unit that ranked 29th out of 30 NBA teams in total defense (105.3), defensive field-goal percentage (46.6) and 26th in fast-break points allowed (15.1). World Peace also represents the lone member along with Bryant of the Lakers’ 2010 NBA championship team, a role World Peace largely influenced in a Game 7 win over the Boston Celtics. After serving various scouting positions with the Lakers for the past six years, Ryan West was promoted to be the team’s director of player personnel. 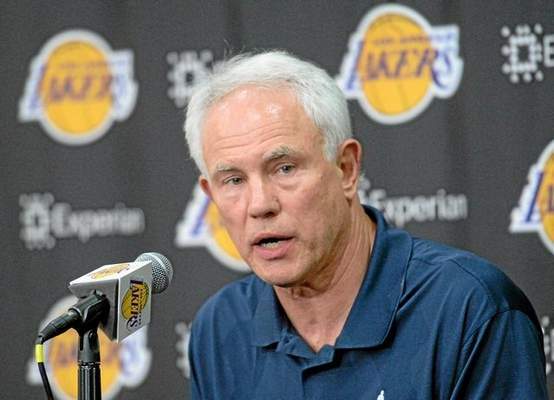 West had recently served as the Lakers’ assistant director of scouting and worked along with Lakers director of scouting Jesse Buss. West also worked as a scout with the Memphis Grizzlies for eight years. West’s change in title is definitive, but the Lakers do not plan on making any official announcement until sometime in September. The Los Angeles Times first reported the news. West is the son of former Lakers player and general manager Jerry West. He led the Lakers to an NBA championship in 1972, became a 14-time All-Star, 10-time All-NBA team member and won the 1969 Finals MVP during his NBA career with the Lakers from 1960-74. He then served head coaching and scouting positions before assuming the general manager role in the 1982-1983 season. That led to seven championships and an NBA executive of the year honor in 1995. Jerry West also secured Shaquille O’Neal in free agency and Kobe Bryant on a draft-day trade in 1996, which led to three NBA championships. As for Ryan West, he and Jesse Buss played a role in the Lakers in the team acquiring Jordan Clarkson in a trade during the 2014 NBA Draft. The Lakers paid the Washington Wizards about $1.8 million for their 46th pick to select Clarkson, who was then named on the NBA’s all-rookie first team. A present for his 37th birthday arrived roughly 24 hours early for Kobe Bryant, a slight consolation to an otherwise frustrating year riddled with injuries. Bryant revealed on his Instagram account that he began shooting drills on Saturday, roughly seven months after tearing a rotator cuff in his right shoulder that required season-ending surgery. “First day back on the court shooting! Bout Damn time! !” Bryant wrote on his Instagram account before including hashtags for shoulderrecovery, 20thseason, drinkbodyarmor and lakers. 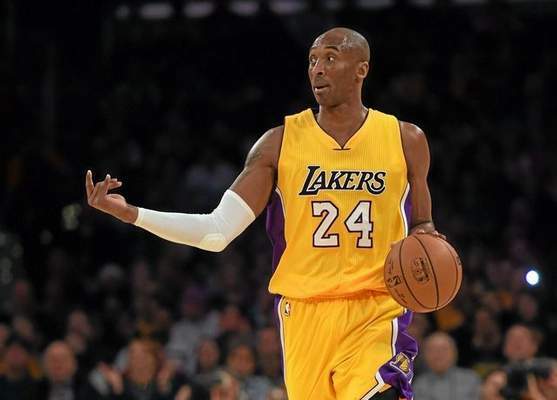 The possibilities seem endless for Kobe Bryant, the Lakers’ star keeping all options regarding his future open in case he can delay Father Time from defeating him again. Would Bryant play beyond his current contract that ends after next season? Perhaps. Does Bryant want to play in the 2016 Rio Olympics to secure a third gold medal? Sure thing. Could Bryant even extend his basketball elsewhere overseas? It’s a possibility. First, he has to prove he can stay healthy for the entire 2015-16 NBA season, something he has failed to do for three consecutive years. But well before Bryant will navigate that treacherous course, former NBA star and TNT analyst Charles Barkley offered biting skepticism. The commentary both illustrates the challenging question marks Bryant must answer and the unfiltered opinions Barkley often offers. That prompted a discussion Wednesday night on Time Warner Cable’s Access SportsNet where host Chris McGee, analyst Dave Miller and I offered our own two cents on if Bryant can prove Barkley wrong. Bryant sure things he can, tweeting, “My reaction to critics is the same as my reaction in the vid #excuseme.” Bryant then linked to a video where he paid no mind two years ago to a Milwaukee Bucks mascot unexpectedly moving in front of him. But both Miller and I offered various variables that make this offer complicated. How much will Bryant rest in practices on back-to-backs? 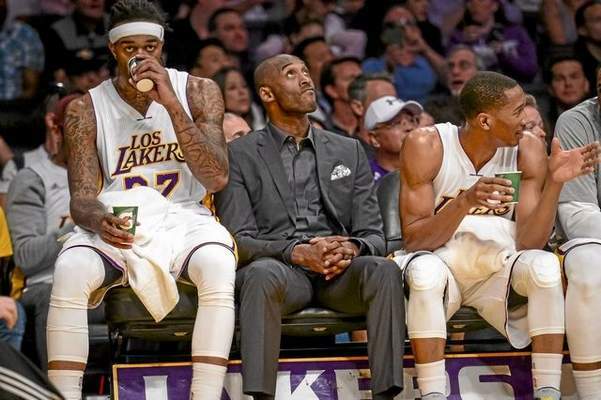 Can Bryant defer more to his teammates? Will either of these approaches even ensure he stays healthy? Watch here for more, including Miller successfully getting me to flinch at a basketball nearly being tossed my way, something Bryant refused to do against Matt Barnes five years ago. At this point, every NBA team remains undefeated and no one has suffered any significant injuries. 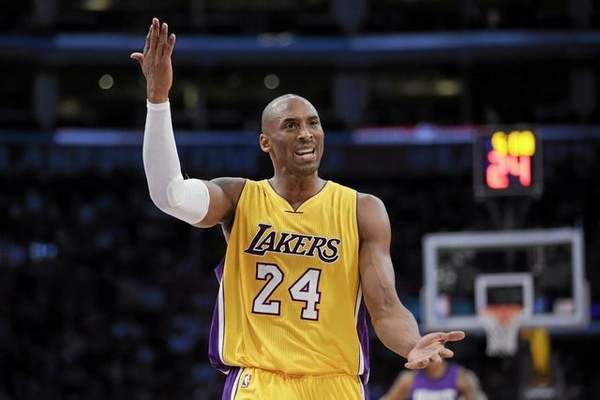 But that has hardly prevented anyone from expressing skepticism regarding the Lakers’ fortunes for the 2015-16 season. 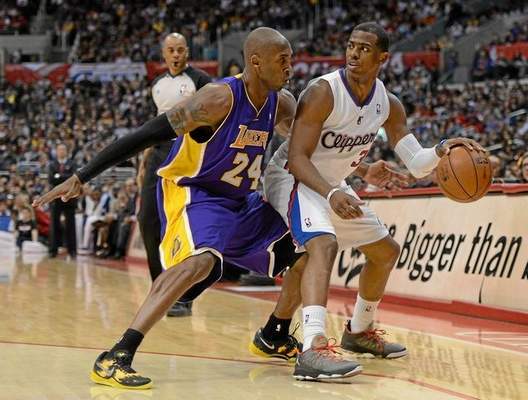 The latest entailed ESPN predicting that the Lakers will finish 12th in the Western Conference with a 26-56 record. That marks a relative improvement from last season’s 21-61 record in what marked the team’s worst mark in its 67-year-old franchise history. Yet, that prediction also represents a drop off from the Lakers finishing 12th last season in the Western Conference. That sparked a conversation on Wednesday night on Time Warner Cable’s Access SportsNet. Then, host Chris McGee, analyst Dave Miller and I analyzed all the variables detailing what will contribute to either a successful or failed 2015-16 season for the Lakers.